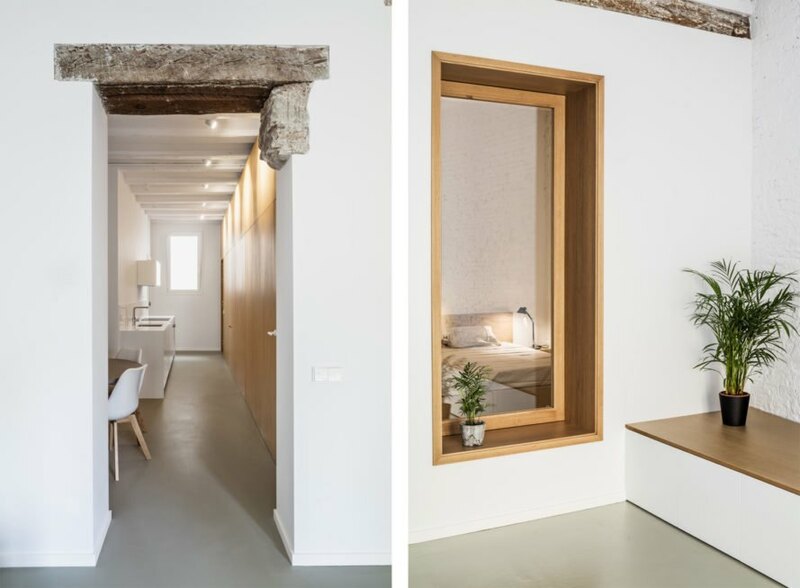 In Barcelona, Spain, a historic apartment in a block of flats dating back to the 1900s has been transformed into a minimalist and modern home. 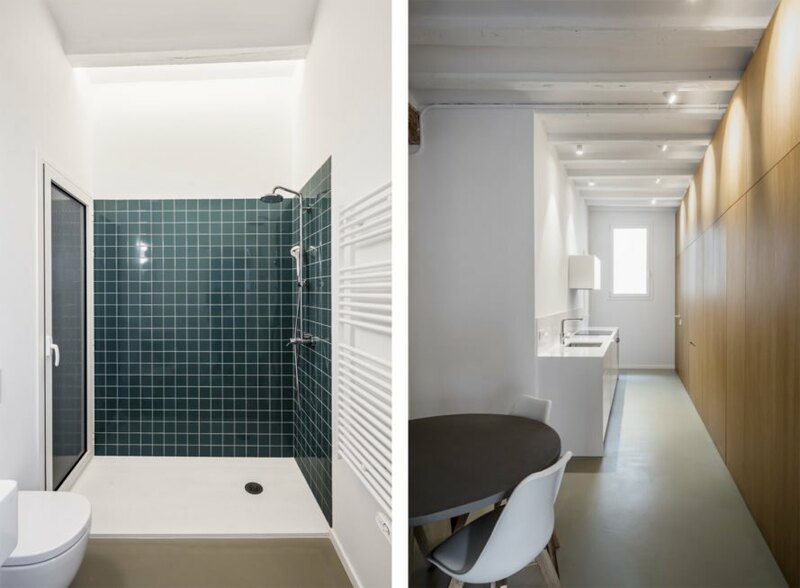 Local design studio Alventosa Morell Arquitectes directed the renovation for clients who wanted a completely renewed space with greater access to daylight. 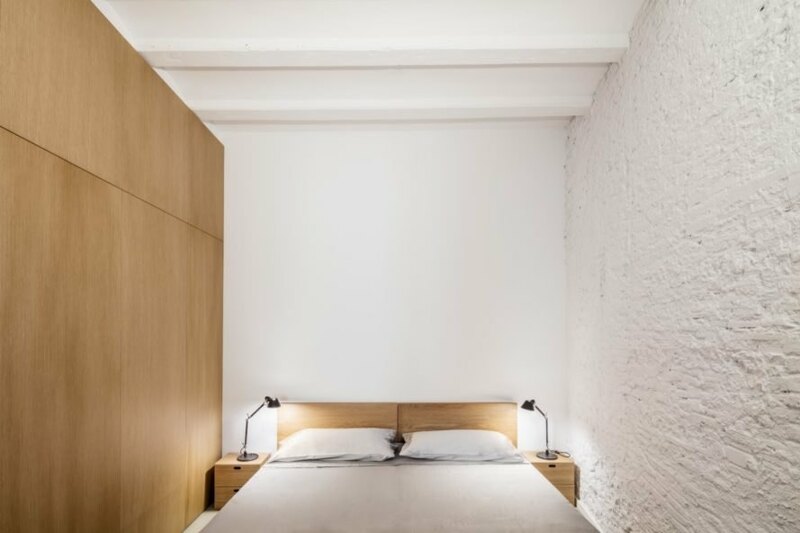 Completed in 2017, the project, called the TS01 Interior Refurbishment, not only offers improved access to natural light and ventilation, but also uncovers original architectural details. 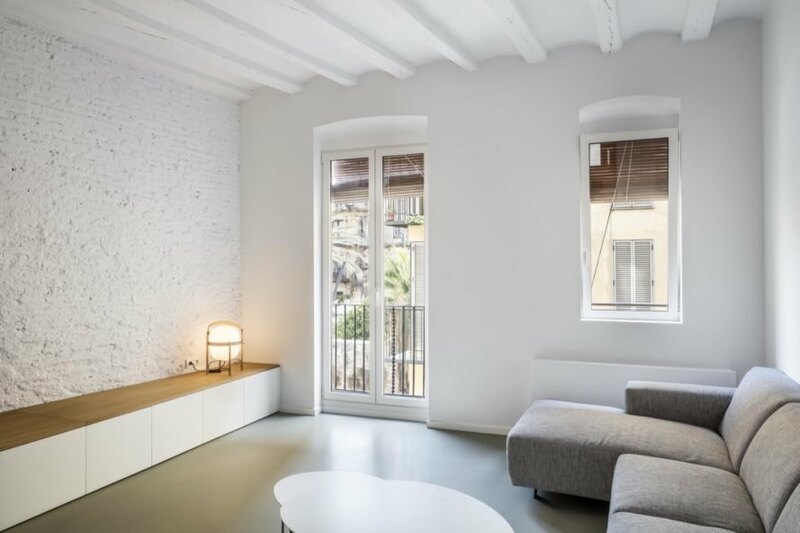 Located in the Born District, one of Barcelona’s oldest and most beautiful neighborhoods, the apartment had seen multiple renovations over a hundred years. As a result, little of the original construction could be seen and had been hidden beneath layered paint and modifications. 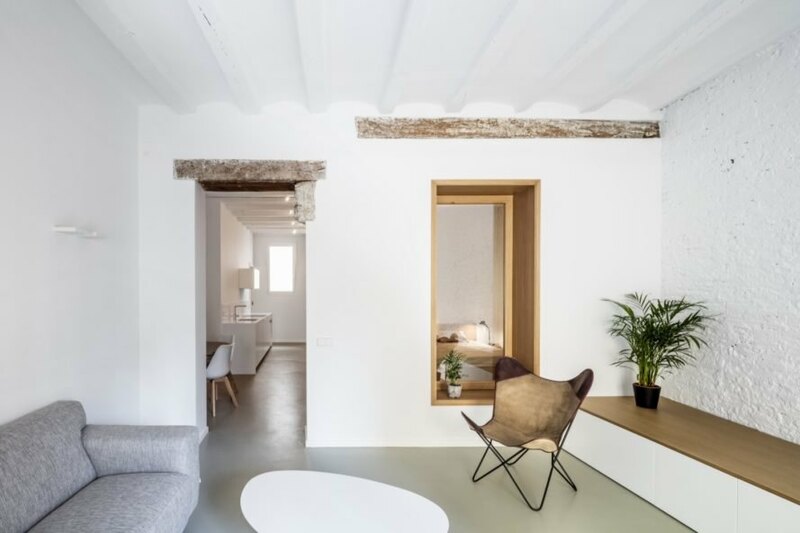 In hopes of restoring a bit of the historic value of the property, Alventosa Morell Arquitects peeled back some of the alterations and discovered original elements—such as the beamed ceiling, stone wall and timber lintels—that they restored and left exposed. 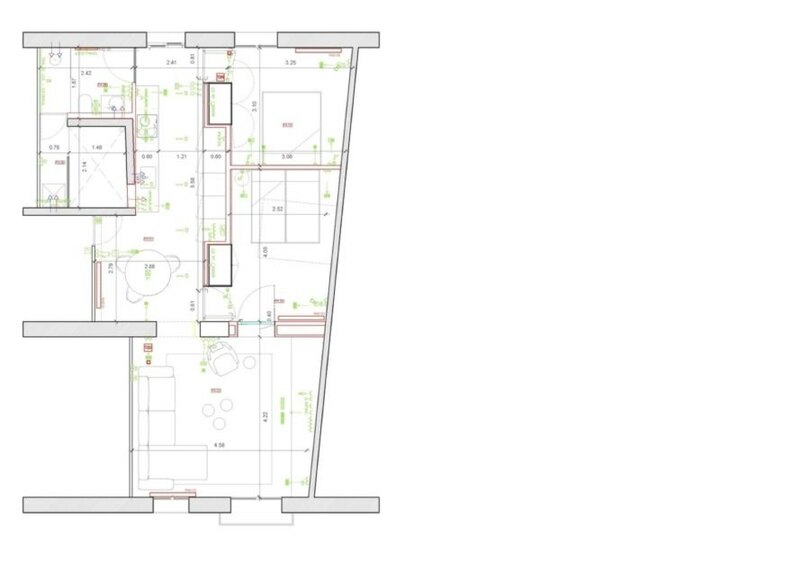 “The aim of our project story on two ideas,” Alventosa Morell Arquitectes explain. 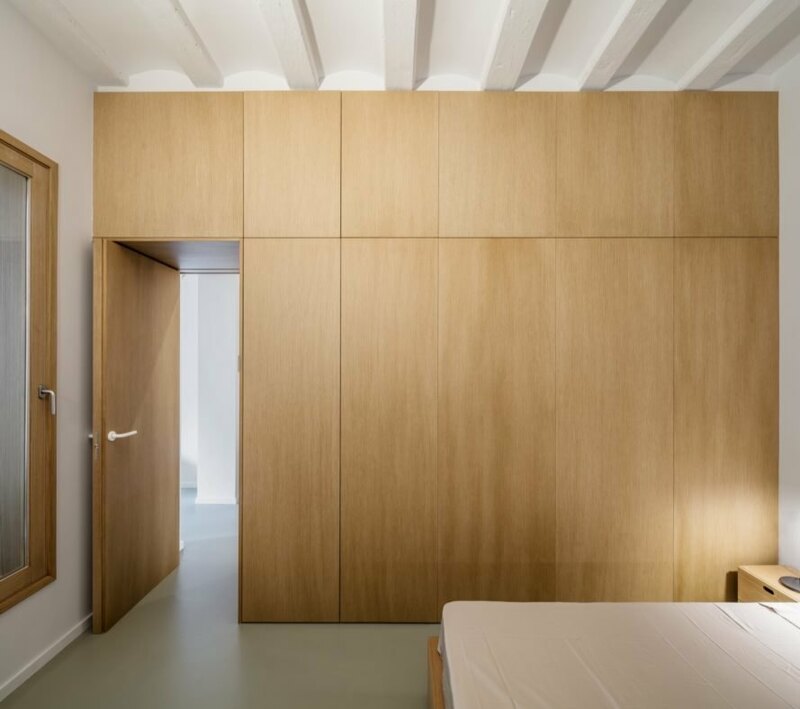 “On one hand, detect, recuperate and show the structural original elements of a high historic and constructive value; and on the other hand, generate a diaphanous space to improve the lighting conditions and natural ventilation existing.” To improve access to light, they removed all non-load-bearing partitions and the false ceiling. The walls were painted a bright white and the finish floor was removed and replaced with a continuous light-gray cement floor.